Another day, another PING review! So we recently had a look at the PING i15 Irons and the PING g15 hybrid. 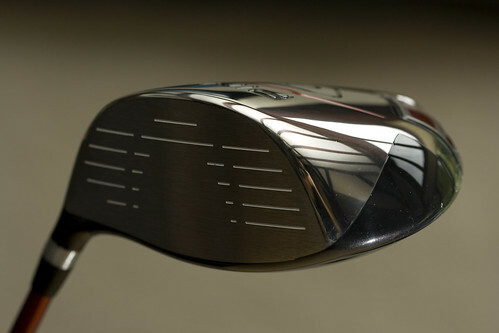 Today we are going to have a look at the big dog of the bag, the PING G15 Driver. I have seen a lot of G5 and G10 drivers in the bags of random playing partners over the years, and have been looking forward to getting my hands on a G15 driver for quite a while now. As always, we will start with a little background information and club specifications and then get on to the detailed review. Enjoy! 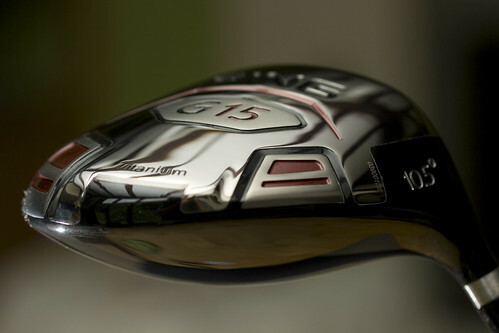 The G15 driver is engineered for golfers seeking a maximum forgiveness driver that delivers distance and accuracy. Its 460cc titanium head is longer front to back and features PINGâ€™s patented ultra thin crown technology. Weight savings from the thin crown are positioned as an external sole weight to optimize the center of gravity for higher trajectories and reduced spin. A larger face is designed to increase ball speed and provide consistency across the entire hitting surface. The new PING-designed TFC 149D high balance point shaft allows for a five gram increase in head mass (without increasing swingweight or overall weight) which results in higher ball speeds and an increased moment of inertia. The Ping G15 driver is an interesting piece of equipment. At first glance it appears to be a traditionally shaped, large head driver of 460cc. However, upon closer inspection one can make out the triangular geometry of the club head. 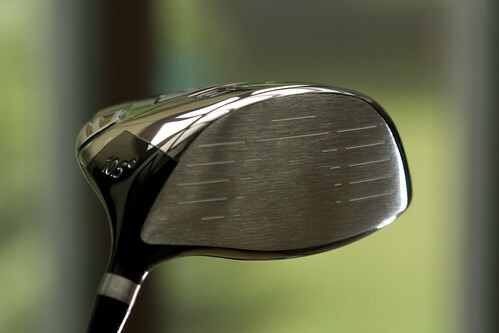 It is not nearly as pronounced as something like the TaylorMade R7 CGB Max, but it is definitely there. I really liked the shape of it, not quite as clean as something like the Nickent 4DX, but much more pleasing to the eye than so many drivers these days. The club head is finished in a dark color that is very subtle and does not distract you at address or during your swing. The crown of the club is set with the trademark Ping alignment aid, a reversed crescent moon. Again, nothing distracting about this, the alignment aid is a dark gray that does not stand out significantly, just enough that you can easily align the ball and club face. Feel off the face is solid when well struck. Heel or toe shots are instantly recognizable, as are hits that are a little thin or fat. Unlike some other drivers today, if you do not hit the ball on the sweet spot, you will not be falsely rewarded with a solid feeling impact. This is a welcome surprise in a driver in this category. Generally I have found that the game improvement drivers always seem to reward you with an awesome feeling…you look up and you have hit a snap hook that nose dives 100 yards off the tee. For those of you who are bothered by offset and draw bias in a club, you will be happy to know that the G15 sets up pretty neutral and looks quite square at address. There is a draw bias version of the G15 for those of you looking to help ease a slice. That particular model offers up a slightly more pronounced offset. 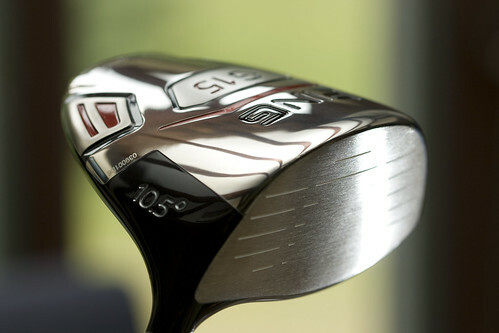 The standard G15, on the other hand, will look quite pleasing to a golfer who naturally hits a draw. No worries about having to hold off the release to avoid those big hooks! The day UPS dropped the G15 off at my door, I headed right over to my home course and took the driver out for a spin. I did not even bother to hit up the range, just took it right on the course. Little crazy perhaps, but it worked out pretty well. Lucky for me, the loft and shaft seemed to fit my swing pretty decently. I ended up hitting about 70% fairways, which is well above average for me. With my swing, the ball launched quite high and seemed to have a pretty good spin rate, as the ball seemed to hang in the air forever and then roll out quite nicely. My driver was fitted with the PING TFC 149D shaft in stiff flex. It seemed to be quite stable and worked well with my particular swing. Nonetheless, you would probably want to be fitted by an authorized PING club fitter to help set you up with the right shaft/head combination to optimize the driver for your game. I usually play with a Callaway FT-5 driver that has been fit with the proper lie/loft and shaft combination. The FT-5 is a solid performer in the ball speed department, one of the longer drivers out there. Fit to my swing, it should produce about as much distance as I can get on the course. Amazingly enough, I found solid strikes with the stock PING G15 to be not far behind the FT-5. At the same time, it also seemed to be far more forgiving. As I mentioned earlier, it was very easy to tell where on the face the ball hit on a poor swing. 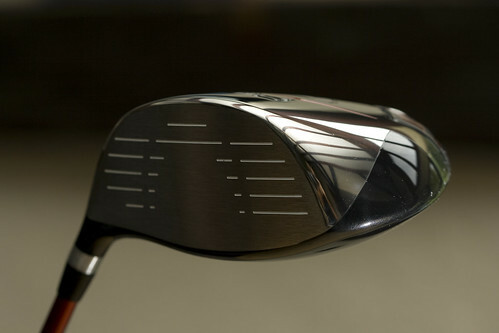 On those hits, distance loss does not seem to be as severe as it is with a driver like the FT-5. While the driver does seem to be quite forgiving, it will not be as forgiving as some of the square faced clubs out there. There will always be trade-offs in the golf equipment market. Do you want more forgiveness? Do you want to maximize distance? Do you want to be able to work the ball? Generally you need to make a compromise somewhere and take whatever you feel will work best with your game. The PING G15 driver seems to settle nicely in the, good amount of forgiveness, lots of distance, and still some workability and decent feel. 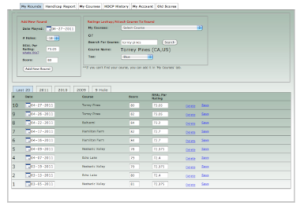 I have been playing the G15 for about a month now, and have had some of my better driving days of my golfing ‘career’. When struck on the screws, this club can launch the ball a long way. And I suspect, if I were fitted with the right shaft/loft combination, I could eek out a few more yards from this combo. In addition to the great distance, the level of forgiveness has been great for my game. I really do struggle with my driver at times and find playing with drivers more along the ‘player’ level of driver can be a problem. I still manage to lose a ball now and then with the G15, but have kept a lot more balls in the short stuff (or at least playable) while I have been bagging the G15. I cannot speak to how the G15 compares to previous generations of the G line, however, I would highly recommend adding the G15 to your list of drivers to hit if you are on the market for a new ‘Big Dog’. Coming in at $299 retail (or around $225 on eBay), the G15 is slightly less expensive than some of the high tech, bells and whistle drivers out there. So be sure to find yourself a local authorized PING fitter and take a couple swings with this stick. Let me know how you make out with it! As with most of our reviews here, Ping has provided the G15 driver used in this review free of charge. As we receive equipment from all of the major golf equipment manufacturers, we try to remain unbiased and provide an honest look at every piece of equipment we review at The Deep Rough, this is nothing new. We would have a much harder time putting together all of these reviews if the manufacturers if we had to go out and purchase all of this equipment at retail prices. And for full disclosure, just about every piece of equipment we receive for a review we end up giving away to charity or as prizes in contests. Awesome. I’ve been reluctant to give up my G2! It’s been so good to me. I’ve eyed off the G5 and G10 for a few years but think the G15 may be my upgrade model. sounds fantastic. I’m always amazed at the reviews of the ping drivers that say they don’t look as snazzy as other brands. Does it really matter. The G2 sold me on the Ping drivers and I’m going to stick with the Ping and might just go buy a G15 now! Agreed Michael, I do not think the ‘bells and whistles’ make any difference. The G15 is clean, and very nice looking at address. I remember when I first got a R7 425 driver, with all the MWT ports on the back, I was almost embarrassed to take it out of the bag! Let me know how the G15 works out for you if you decide to pick one up! Now thats a good review! I have this club in my bag right now and it is not the automatic 300 yarder that any schmuck can hit club that some reviews claim it is. It is still a driver that rewards good swings. At first it felt a bit shallow compared to most big drivers and I found myself teeing up slightly lower. Its true that you feel off center hits very well, but I have noticed that I am getting slightly more distance on average over my Cobra.